Alex Cross left his hometown, and some awful family tragedies, for a better life with Nana Mama in Washington, DC. He hasn't looked back. Now his cousin Stefan has been accused of a horrible, unthinkable murder, and Cross drives south with Bree, Nana Mama, Jannie, and Ali to Starksville, North Carolina, for the first time in thirty-five years. Back home, he discovers a once proud community down on its luck, and local residents who don't welcome him with open arms. As Cross steps into his family home, the horrors of his childhood flood back--and he learns that they're not really over. He brings all his skill to finding out the truth about his cousin's case. But truth is hard to come by in a town where no one feels safe to speak. Chasing his ghosts takes Cross all the way down to the sugarcane fields of Florida, where he gets pulled into a case that has local cops needing his kind of expertise: a string of socialite murders with ever more grisly settings. He's chasing too many loose ends--a brutal killer, the truth about his own past, and justice for his cousin--and any one of the answers might be fatal. The book itself was good. Great book, well narrated. This is one you need the time to listen to all the way through. 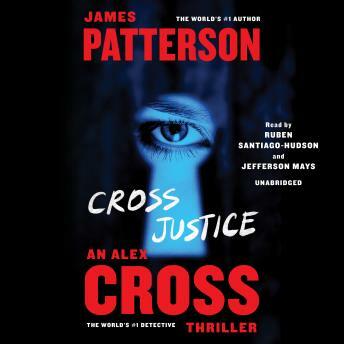 Another great Alex cross book, awesome as usual! I enjoyed the book, a good Patterson read with a twist. The reader was excellent and the sound effects were good. Awesome and very captivating . Made for a very good drive. It has been a long time since I read any Patterson book, but the Cross stories were my favorites. Really enjoyed this one!!! First audiobook. It was great. Loved the sound effects. I felt so mad for his daughter! It was pretty neat how he was able to reconnect to his dad and how he was a cop too. I was a past Patterson/Cross fan and was not a fan of some of the books... Now...I'm a new big fan!!!! Well done! I listen to at least two books or more a week... Was very happy with this audio book!! !